Mail and other things that fly. 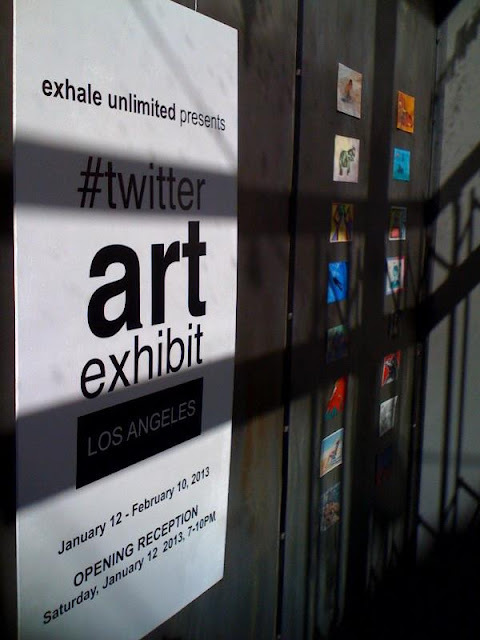 Saturday was the #Twitterartexhibit opening at E.U. Gallery in Los Angeles, and unfortunately I have not yet perfected teleportation and viewed from photos. All the cards looked lovely on the wall, and the place was packed. View all their photos and submitted art via their Facebook albums. I am off to paint more butterflies. somehow I am noticing a great deal of them in new pieces. metamorphoses?